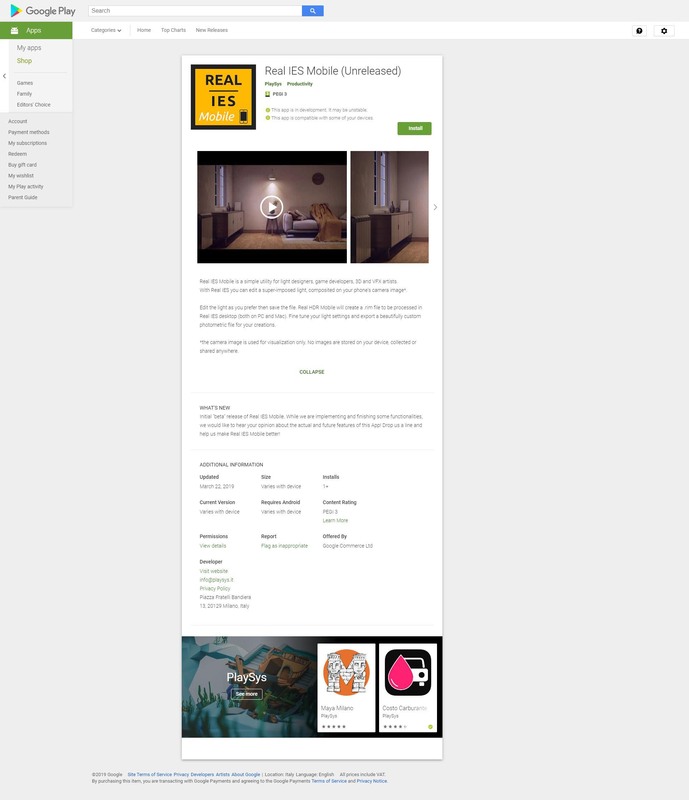 Real IES Mobile is now available as a beta on Google Play. Although this mobile app is quite limited at the moment, you still have the possibility to participate actively in the development by installing it and giving us some feedback. The app is marked as “early access” in Google Play for this reason. With it, you can “grab” an existing light by overlaying a custom photometric light. Real IES Mobile produces a very optimized *.rim file, that can be parsed and converted to a *.ies format by Real IES 3.1 (out very soon). I hope this can be of some help to architects and lighting designers. I already have a full list of new features to be added on “download milestones” and according to users feedback.